I get many questions about the blogging tools and resources that I use for my blogs. I put together this list of recommended blogging resources that I personally use and trust over the years. I highly recommend the self hosted WordPress.org. It’s the CMS (content management system) that most bloggers use. There are tons of resources available for learning, adding functionality, beautiful themes and much more. The two web hosts that I recommend are NOT EIG owned hosting. 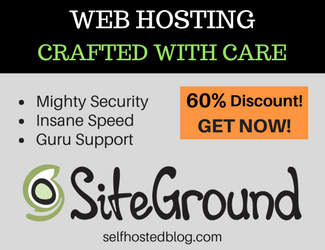 Although there are many web hosts available, I highly recommend SiteGround for hosting. I have been with several different webhosts over the years and thankful that I found this one. SiteGround – Their hosting plans start at $3.95 per month with the incredible discount! With innovative SuperCacher technology, you’ll be happy with fast speed, 24/7 support and one-click WordPress installation. Plus you can get up to 60% off! Learn more about setting up your SiteGround blog. GreenGeeks – With hosting plans starting at $3.95 per month, GreenGeeks is a great option! They also have a month-to-month plan (it will cost more.) You can enjoy unlimited domains on one account, free website transfer service and much more! Amazing resources and tools to learn about online marketing and to blog with purpose. ClickFunnels Affiliate Bootcamp – Learn step-by-step how to be a successful ClickFunnels affiliate with this 100-day affiliate bootcamp. Ultimate Bundles – Provides training to affiliates to help you get the most from your sales. And the bundles, in several niches, sell like crazy! A2 Hosting Affiliate – Top web hosting company with blazing fast speed for your website. Excellent affiliate program. There are plenty of free WordPress themes to choose from. BUT … I find those difficult to work with and usually not updated on a regular basis. I’ve used StudioPress themes for years and love them! StudioPress Genesis WordPress themes – Uses the Genesis framework, and Industry Standard Design Framework that makes WordPress easier to customize and use. ElegantThemes – Uses a Visual Drag & Drop to make WordPress easier. You can Download 87 beautiful WordPress Themes for the price of one, including Divi, the ultimate theme and visual page builder. Take Divi for a free test drive today. Thrive Themes – These are conversion focused WordPress themes. Thrive Themes are built for speed, readability and clarity. Learn more about Genesis Framework for WordPress. I use all online tools for images. Even if there is a membership fee, the cost is much less and it’s more convenient than a computer-based graphics program. Here are the graphic design tools I use. Canva – an online graphic design tool with amazing templates to help even the creatively challenged person create amazing images for your blog and social media channels. 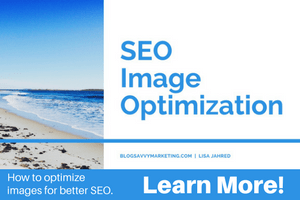 PicMonkey – Love this graphics tool for creating imagery in blogs and social media. Lots of great tools to enhance your images and templates too! Adobe Photoshop – A recent addition to my graphic design tools, it’s the best programs I’ve used. I learned the basics which gives me what I need to create amazing imagery. Learn more about my Top Reasons to get a PicMonkey Membership. I use a combination of various tools for email marketing. AWeber – Started with AWeber and still use it for the majority of my email subscriptions. ConvertKit – Recently started using ConvertKit. It was created by bloggers for bloggers. I am loving it! OptinMonster – Best lead-generation plugin for WordPress that allows you to create and integrate highly effective email signup forms on your website. It works with most popular email marketing tools. ClickFunnels – Powerful sales funnels tool to create landing pages. Learn more about AWeber and ConvertKit, in my recent reviews of both. Find out which one is best suited for your needs. Creating images for social media sites like Pinterest requires awesome graphic elements and fonts! Here are two fabulous resources that also offer free downloads on a regular basis in addition to their paid downloads. FontBundles – Offers exclusive deals on the highest quality premium and free fonts from independent designers. You can get savings of up to 96% off fonts on a regular basis. You also get a Font Free every week. DesignBundles – Offer exclusive deals on high quality premium design resources and free design resources. You can get savings of up to 96% off on beautiful design elements from thousands of independent designers. Pretty Links – Pretty Links is a WordPres plugin that shortens affiliate links, track clicks from emails, create links using your own domain or generally increase the reach of their website by spreading these links on forums or comments on other blogs.